History and background of Jean Patou. Jean Patou was born in Normandy, France, in 1880. Patou's father was a leading tanner (leather maker) and his uncle owned a fur business which Patou joined in 1907. In 1912 Patou opened Maison Parry, a small dressmaking salon in Paris, and sold his entire 1914 collection to one American buyer. His career was then interrupted by the war, which he spent as an army captain. Jean Patou was born in Normandy, France, in 1880. Patou's father was a leading tanner (leather maker) and his uncle owned a fur business which Patou joined in 1907. In 1912 Patou opened Maison Parry, a small dressmaking salon in Paris, and sold his entire 1914 collection to one American buyer. His career was then interrupted by the war, which he spent as an army captain. In 1919, he reopened his salon, this time under his own name. His collections were successful from the start. He showed bell-skirted, high-waisted shepherdess-style dresses, many embroidered in the Russian style. He designed for actresses such as Constance Bennett, Mary Pickford and Louise Brooks, but his finest achievements were in the field of sports wear, which always occupied an important position in his collections. In the early 20's, his inspired work in the sportswear field gave fashion another dimension. He dressed tennis star Suzanne Lenglen in styles that she wore both on and off the tennis court. Other clients included the Dolly Sisters, who took 200 changes of garments on their tour of the USA, in the mid 20's, all made by Patou. Patou began the pleasant custom of a preview of his collection before the press. He was also known for his sweaters with Cubist designs. He was very much influenced by Art Deco and Cubism, creating sharp geometric shapes and patterns in his fabrics. Jean Patou invented the first designer label, with his pockets outlined with a "J" and "P". Like Poiret, Jean Patou was a brilliant public relations man. On a visit to the USA in 1925, he was impressed by the long legged American girls. He auditioned 500 girls and chose 6 to accompany him back to Paris. This caused an uproar in the French press. 1925 was a most active year for Jean Patou. He opened Sports Corner where separate rooms were devoted to clothes for a different sporting activity, like golf or fishing, with clothes co-ordinated with accessories, scarves, lingerie, jewelry, hats, etc. He was also famous for his bathing suits. Also in 1925 he introduced his first perfumes Amour-Amour, for brunettes, Que Sais-je for blondes, and Adieu Sagesse for redheads. In 1929, he added Le Sien, a sports fragrance, and in 1931 his most famous Joy, still one of the great perfumes of the world. He later launched "1000" , Sublime and Eau de Patou. His perfume JOY is always advertised as "The most costly perfume in the world". Patou opened branches in Monte Carlo, Biarritz, Deauville and Venice to cater to international society. In 1928, Jean Patou created "Huile de Caldee, the first sun lotion. Jean Patou was fortunate in having many friends and family members who worked with him and kept him in touch with Parisienne life. Foremost was his sister Madeleine, who was 7 years younger than he. She was his source of inspiration, his ideal, a small, neat, dark, chic, active modern woman. Until his death, Patou was a giant of the fashion world, dominating both couture and ready-to-wear. Patou met an early death in 1936, at the age of 56. His sister's husband George Barbas took over the house. Jean Patou's great-nephews Guy and Jean de Mouy now run the company. The family has continued to manage the house, with a range of designers who have gone on to fame themselves. In 1967 Jean Kerleo, the legendary perfumer, joined the house and since then has created all the great perfumes for which Jean Patou is famed. 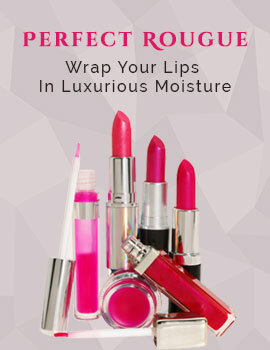 They are expensive because they are made with authentic Patou extravagance, out of the most precious natural ingredients. "Joy" is advertised as the most expensive perfume in the world. The house is still offering collections of beautiful gowns to the clientele of Paris. Launched by the design house of jean patou in 1930, joy is classified as a refined, flowery fragrance . This feminine scent possesses a blend of rare oils including jasmine and rose. 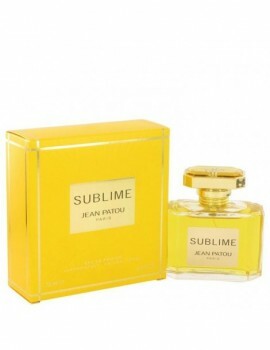 Launched by the design house of jean patou in 1993, sublime is classified as a refined, oriental, floral fragrance . This feminine scent possesses a blend of flowers, musk and vanilla combined to create an elegant, sophisticated scent. It is recommended for evening wear.